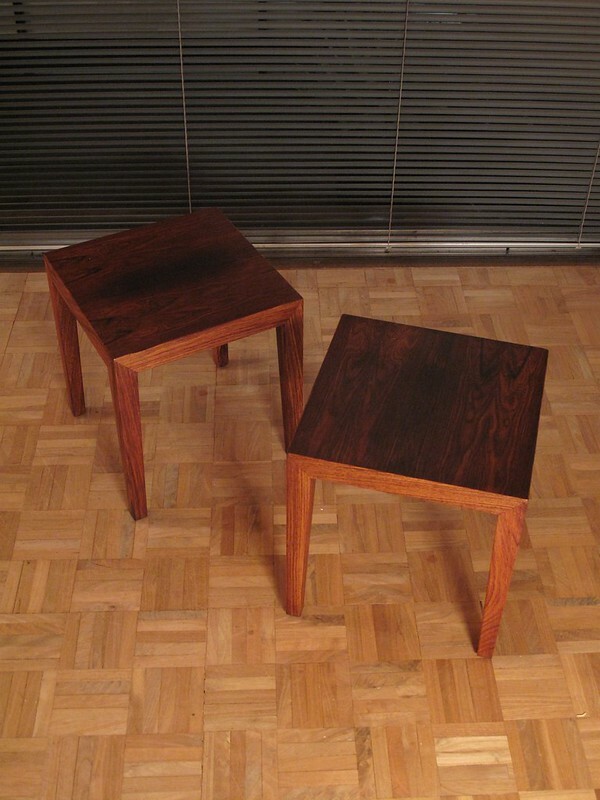 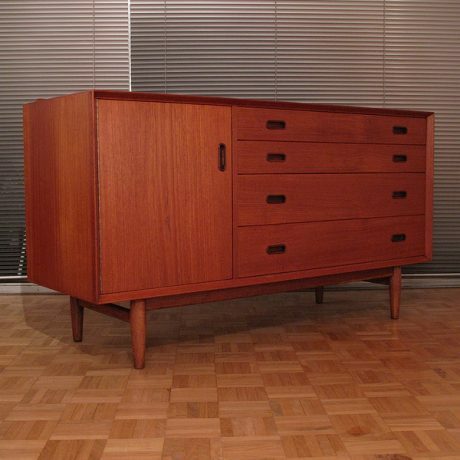 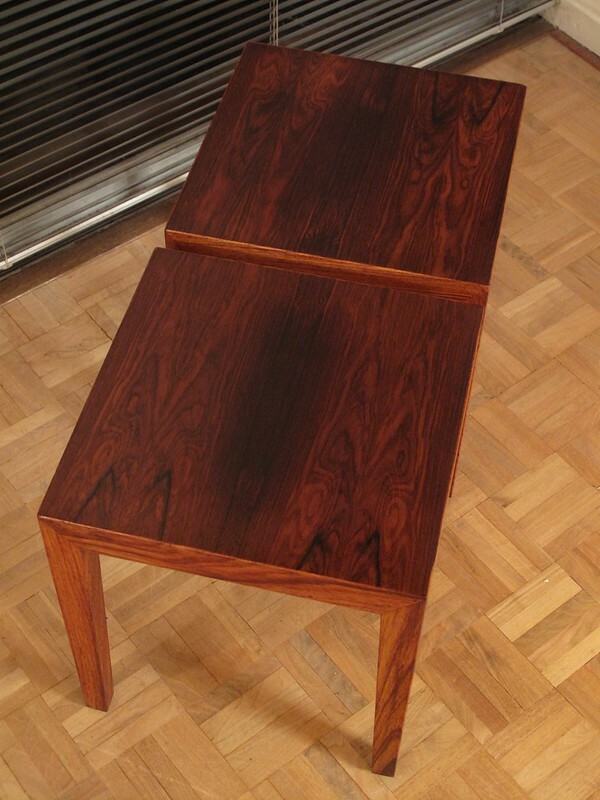 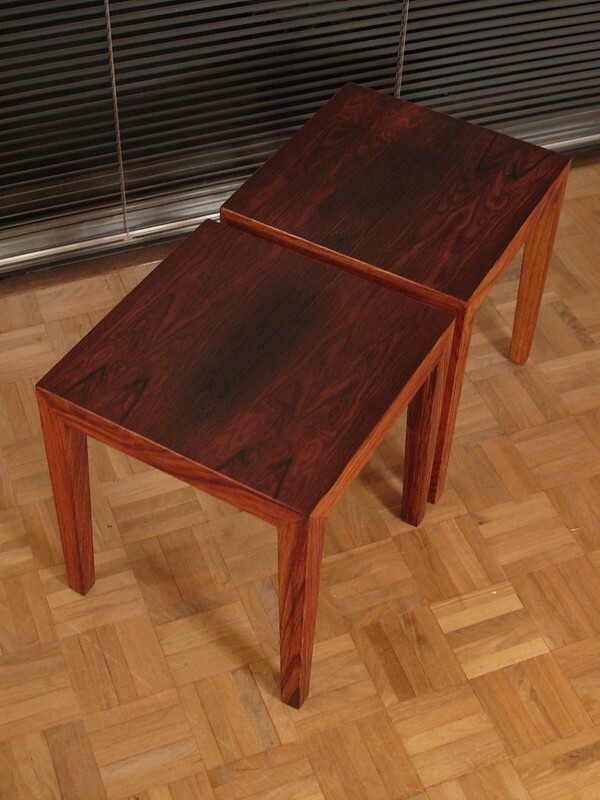 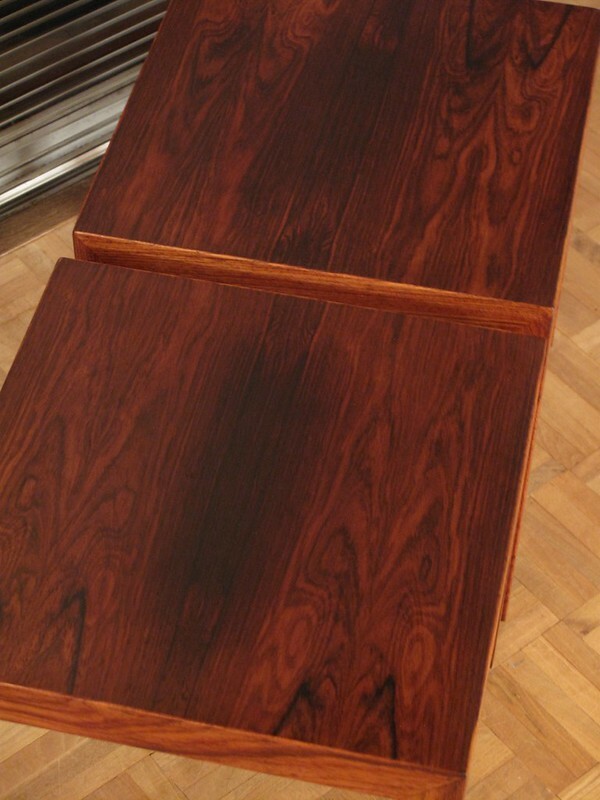 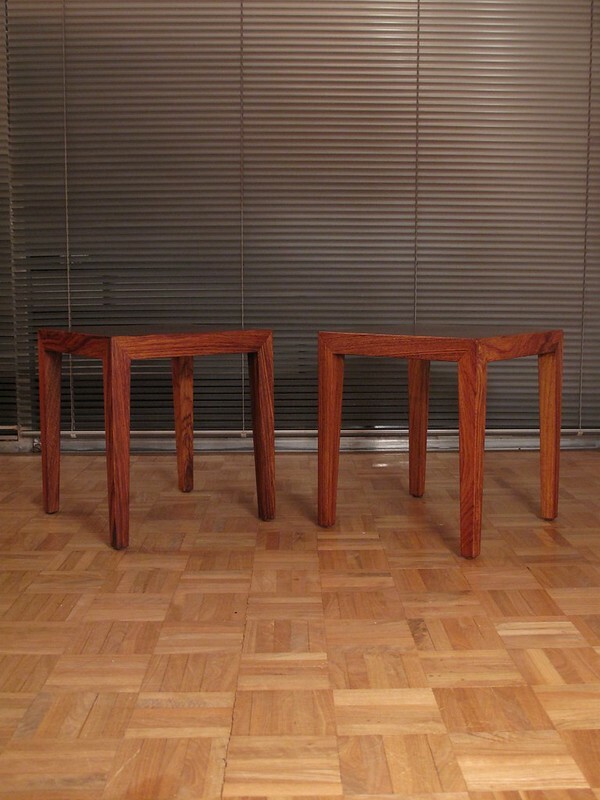 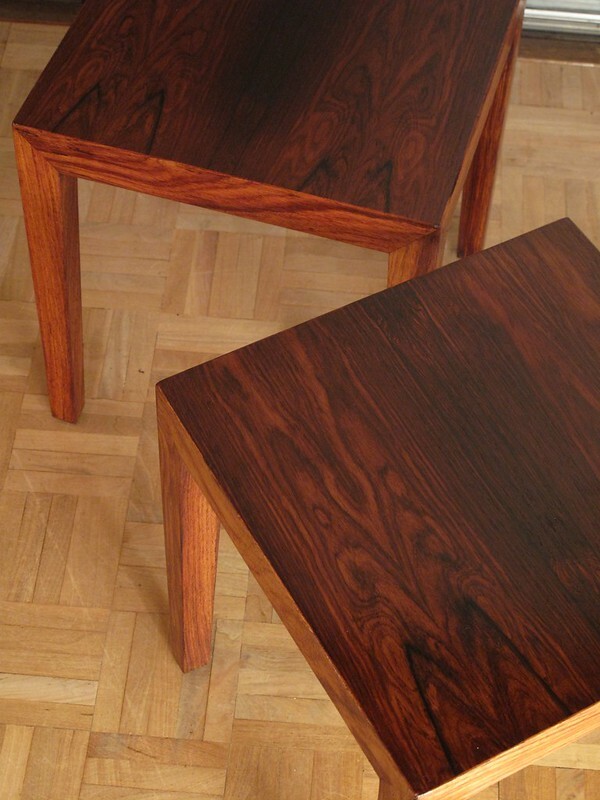 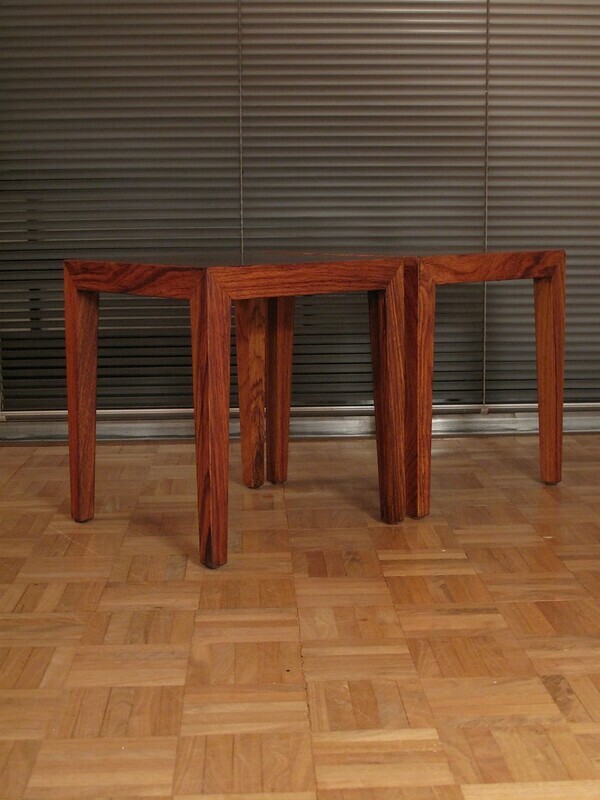 A very attractive pair of Brazilian rosewood sidetables designed by severin Hansen for Haslev møbelsnedkeri. 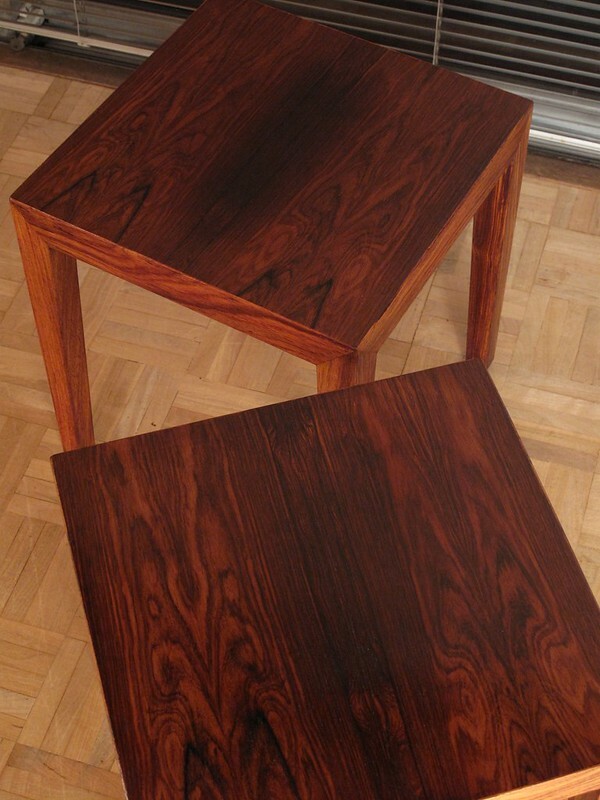 A true pair having matching veneers, they would work brilliantly as bedside tables. 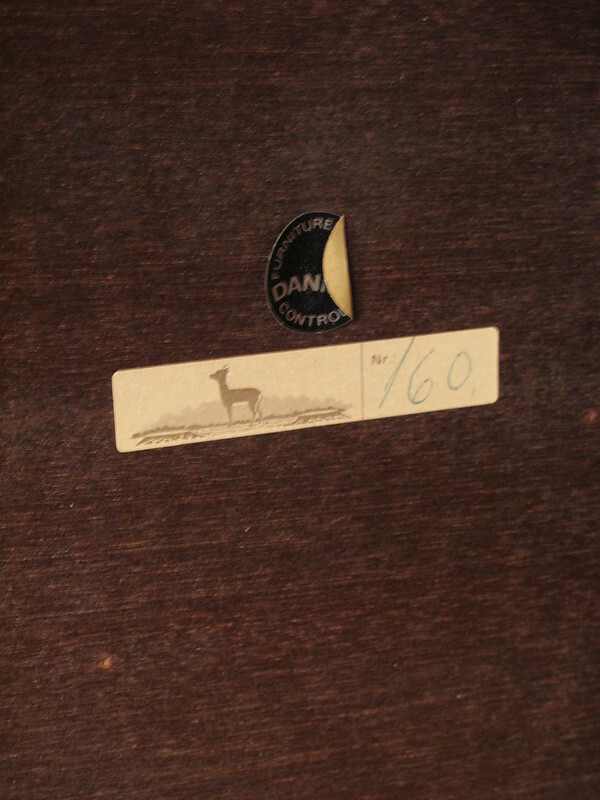 Manufacturers label and model number to the underside. 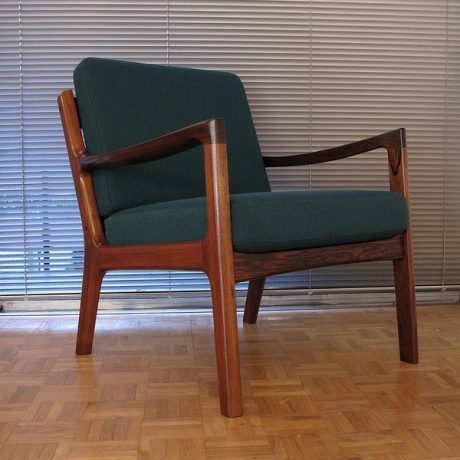 Offered in very nice condition.